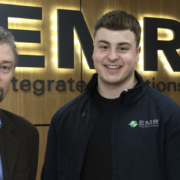 Dunboyne, Co Meath, Thursday, 7th December 2017: Leading two-way radio and paging solutions provider, EMR Integrated Solutions today announced it has deployed a voice-activated paging system for Boyne Fishermen’s Rescue and Recovery. Based on Swissphone s.QUAD paging technology, the high-performance, robust communication system triggers a combination of tone and voice paging to over 30 volunteers of the marine search and rescue organisation. The ability to target individual groups such as the boat crew, vehicle crew and the emergency services with custom pages, helps to streamline communications amongst the team. Significant improvements in paging coverage across the varied terrain of Drogheda and surrounding areas save valuable time in responding to emergency calls. Commenting on the new system, Jason Clarke, public relations officer with Boyne Fishermen’s Rescue said. Boyne Fishermen’s Rescue offers a range of emergency services to the local community and beyond. Its core service centres on an inshore rescue boat, which operates 24×7, 365 days a year, responding to any incidents on the River Boyne and along the coast at Clogherhead, Laytown and Bettystown. The group also provides a community first responder service and subsurface water search and recovery nationwide. 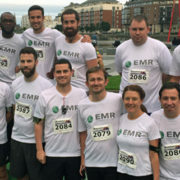 “We chose Swissphone paging technology as it has been specifically designed for emergency service applications,” said Mark Quinn, managing director with EMR Integrated Solutions. 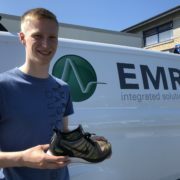 “The pagers are robust, waterproof and very comfortable to wear. A bright LED indicates when a page has been missed and device memory can save up to 16 minutes of voice messages. “Moving from a UHF to a VHF system has also had a positive impact on coverage levels. Rescuers must have complete confidence in the system as they need high-performance communications that won’t let them down,” he said. The volunteers have responded well to the new technology as Mr Clarke explains. Boyne Fishermen’s Rescue and Recovery solely relies on donations from the public to maintain the high level of service it provides. Christmas and the New Year is a particularly busy time of the year for the rescue organisation. 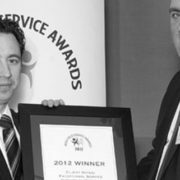 Anybody wishing to support the work of this voluntary organisation can do so by making a secure donation via the website at www.boynefishermensrescue.ie , or by clicking the donate button on our Facebook page or even arranging a visit to our purpose-built boathouse on the Marsh Road in Drogheda where a donation can be made in person. The Boyne Fishermen’s Rescue and Recovery Service is a voluntary marine search and Rescue unit based in a purpose built Boathouse on the Marsh Road in Drogheda Co. Louth. We operate a 24/7 365 Days a year emergency pager water rescue team which includes an inshore rescue boat service, which is accredited to the Irish Water Safety. We also provide underwater search teams nationwide throughout the 32 counties of Ireland for any invent which may occur on our waterways. We provide a wide range of services to the community including a swiftwater rescue team, 4×4 response and flood response rescue just to name a few. A full selection of services provided can be found on our website. In recent years we have become a linked resource of the National Ambulance service as the community first responders for the Drogheda area known as the Boyne Fishermen’s Community First Responders. EMR Integrated Solutions is a leading provider of communications, SCADA and instrumentation solutions. 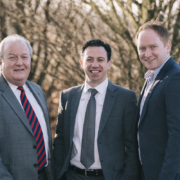 With a track record stretching back to the early 1980s and a management team with a wealth of industry experience, the company has established a strong, successful foothold in markets as diverse as retail, hospitality, utilities, transport, telecoms and public safety. 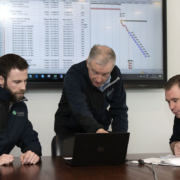 The organisation has customers across Ireland, the UK and Europe and has the expertise, engineering know-how and project management capability to deliver large, complex, integrated solutions on time and within budget.